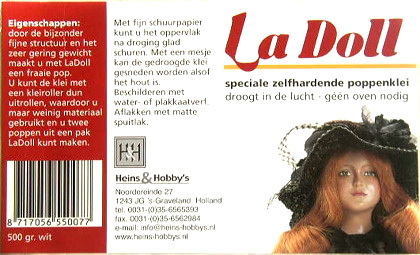 La Doll, Premier and Premix-What kind of clays are that? 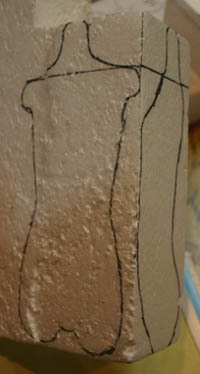 In my last post I wrote about the clay I’m using for my ball jointed doll project,called La doll. I just wanted to mention that I also have other paperclay types at home. I also purchased Premix and Premier,to be able to compare them to La doll and to know which clay I prefer.They where both slightly more expensive than La doll. Premier clay is soft when working with it, they say the results are really light but at the same time the objects come out strong. 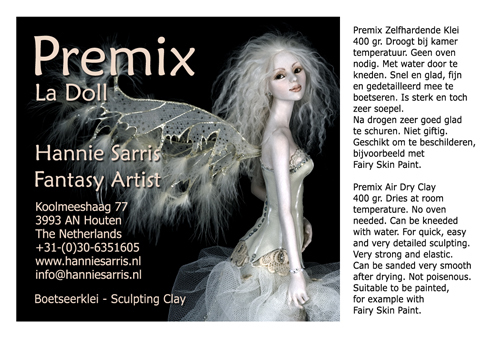 Premix clay is also air drying paper clay and is a mix of La doll and Premier. The qualities of both clays are combined together. 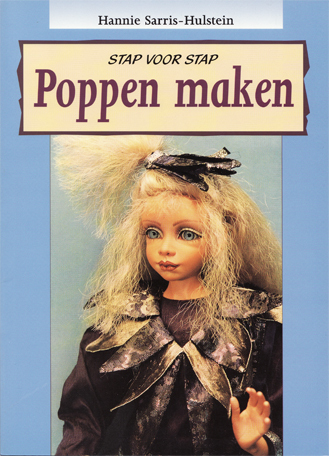 Hannie Sarris, a doll artist, had this idea to mix them and called the new product Premix. 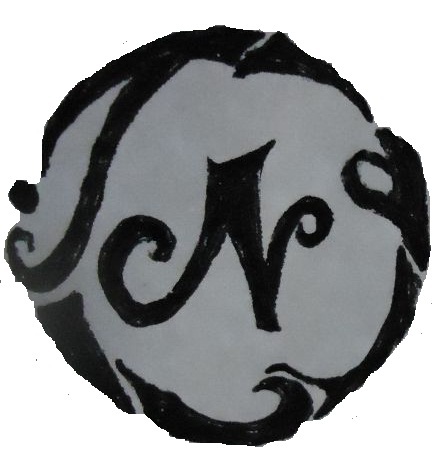 I will make an extra post on Hannie Sarris to tell you more about her and the paper clays. This is the clay I’m using for my ball jointed doll project. This are some pictures of the body parts of my ball jointed doll.I’m making the core with plasticine instead of using styrofoam on the inside (what a lot of doll artists working with La doll clay do successfully). 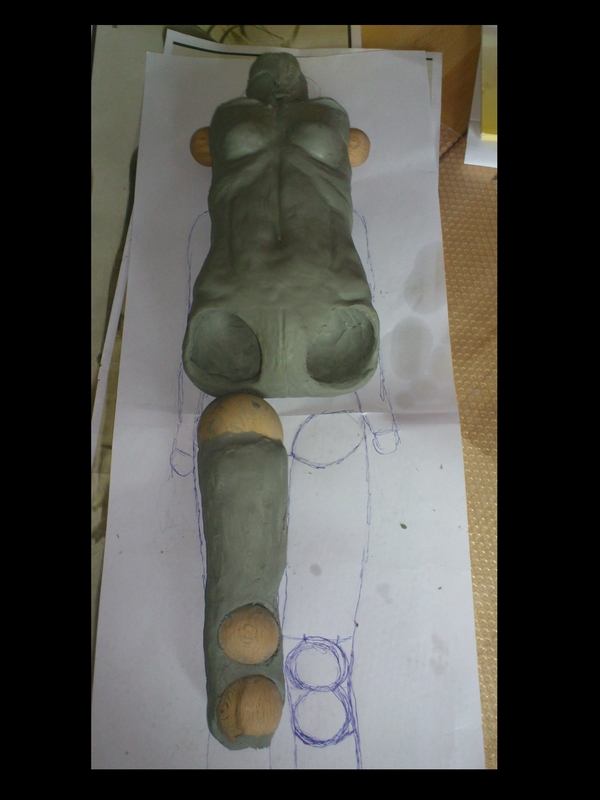 The picture above shows the basic plasticine torso.I used wooden balls to get the hip and distances right. They’ll be removed later. This process with plasticine is fun! 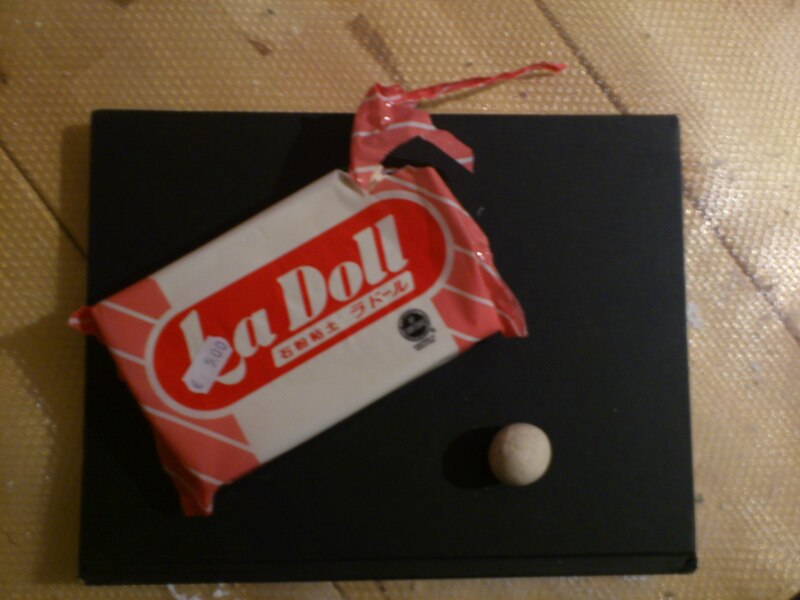 In my last post I wrote about a little test I made to see if I could use plasticine inside my La doll clay doll. My idea was to use plasticine as core instead of using styrofoam. Styrofoam is a material that a lot of bjd tutorials advise for people who make their bjd with paperclay. The test with the plasticine and la doll clay showed that it’s possible to make a bjd basic body with plasticine, cover it in foil and THEN as main step, cover the core with la doll and move on with the real sculpting of the body. Yeah I’m so happy it worked: I simply cut the la doll ball I made, removed the plasticine from the inside, and voila!I then had a hollow clay ball. 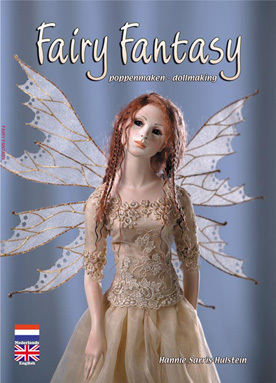 How do I make my doll hollow? 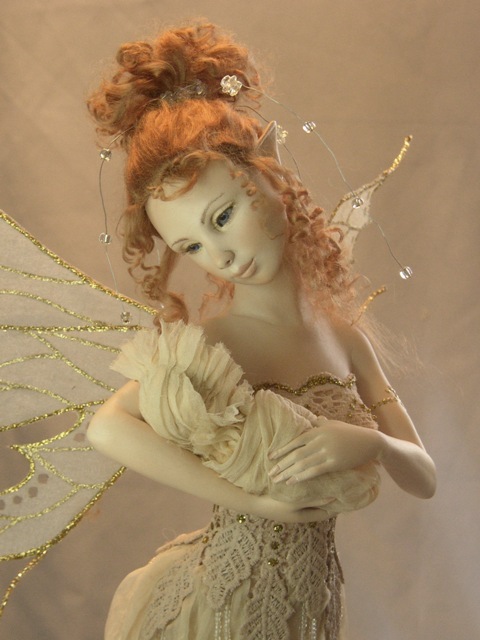 As you all know, ball jointed dolls are usually hollow because they need a stringing system. After making some experiences with a polymer clay called Cernit and with Chavant plasticine, I decided to give La doll stone clay a try. Making a core of styrofoam is a lot of work. Although this method is very well known in the BJD world and a lot of artist use this methoda, I must admit that I hope there are other ways out there =)Ways that involve more sculpting and less scetching and cutting out styrofoam…I hope you get my point. Could I use my chavant plasticine to make a core? I still have some plasticine and made a test with it. I made a simple ball with the plasticine, put some transparent film around it and finally, I rolled some La doll over the plasticine ball. This time I’m trying La doll, because Cernit (polymer clay) and plasticine were not really helpful for my project, even though I like both materials in general. Huh? Is that really the title of my blog post today? The day I learned NOT to use Plasticine…. how can I write that. Let me explain. There is nothing bad about plasticine or the Chavant Clay Medium that I am using for my doll making project BUT (and now listen closely) it isn’t very smart to use plasticine for a ball jointed doll. Yepp! I could have thought about that before, and I am sure some of my readers are thinking now “I could have told you”. Because, now that I have worked with the material for some days and made some experiences with it, I think it is quite obvious why you shouldn’t use it for a ball jointed doll. When it comes to Ball jointed dolls it is all about movement. 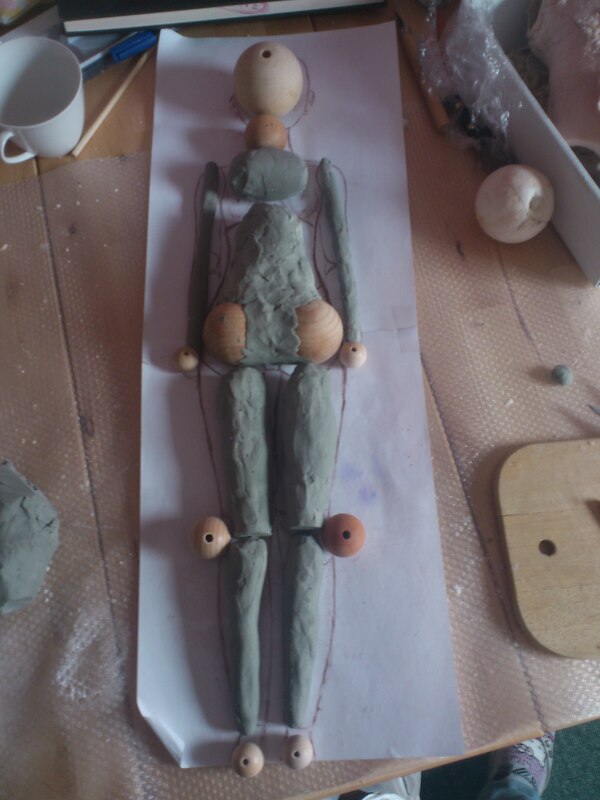 And plasticine is a sticky material that doesn’t allow you to check if the balls/joints are moving. It’s an experience I had to make and it’s part of the process, so I’m okay with it! I’ll show you new pics as soon as I have cleaned all my tools from the sticky plasticine and have a clean surface to work with Cernit. But I am grateful that I can still use the plasticine for my molds later on, they are sulphur free after all.